CORONADO, Calif. - November 12, 2015 - There's no doubt, it's the season of the stout. 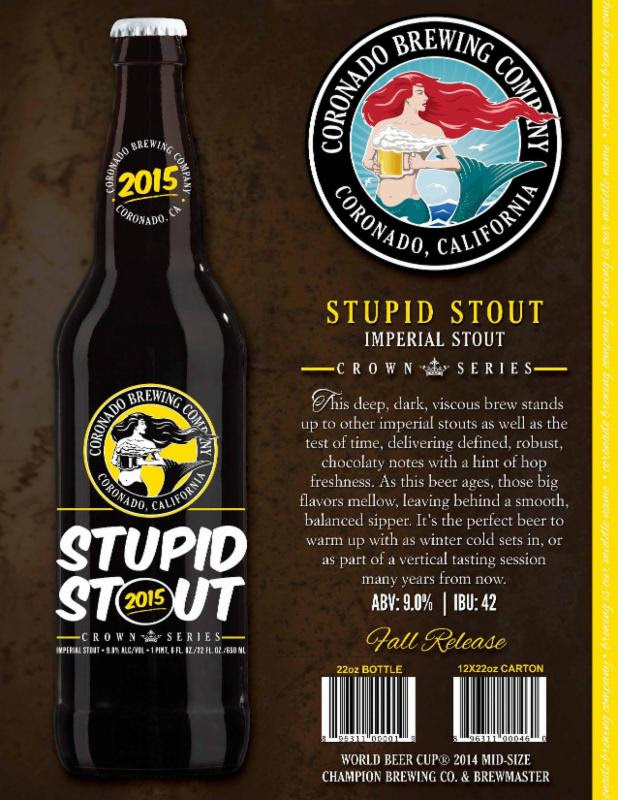 With their final Crown Series offering of 2015, Coronado Brewing Company is rounding out the year with a bang and launching Stupid Stout. This Imperial Stout is worth its weight in gold and has garnered a 97 overall score on RateBeer. 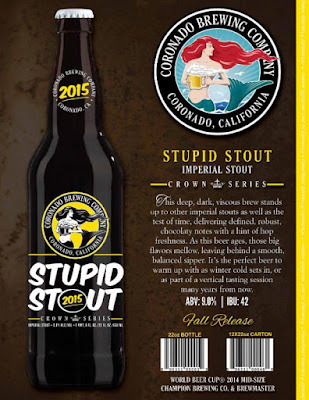 Stupid Stout delivers defined, robust, chocolaty flavors with a hint of hop freshness. As the beer ages, these big flavors mellow, leaving a smooth and balanced sipper. This makes it the perfect beer to warm up with as the winter cold sets in. Make your way to CBC's Bay Park Brewery on Friday, November 13, 2015, and pull your very own bottle of Stupid Stout off the bottling line. Stupid Stout will be available in 13 states and 10 countries: Arizona, California, Colorado, Florida, Hawaii, Illinois, Massachusetts, Michigan, Nevada, New Jersey, North Carolina, Pennsylvania, and Wisconsin. Stupid Stout will also be available in Alberta, British Columbia, Brazil, Chile, Germany, Mexico, Spain, Sweden, and Japan.